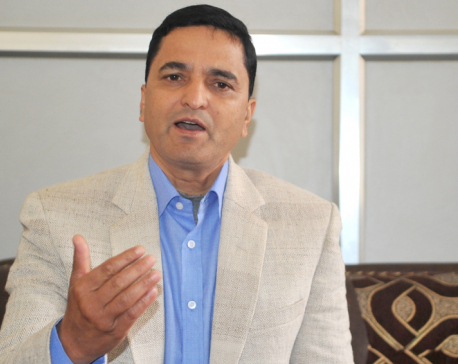 KATHMANDU, Feb 8: Main opposition Nepali Congress (NC) lawmakers have sought Prime Minister KP Oli's clarification on the government's position on the Venezuela crisis. Speaking in the special hour of the House on Friday, NC lawmakers Dila Sangroula and Bhimen Das Pradhan demanded that Prime Minister Oli clarify the House about the government's official position on the matter. The opposition party's demand in parliament comes after the ruling Nepal Communist Party Chairperson Pushpa Kamal Dahal issued a strong-worded statement in favor of Venezuela's President Nicolas Maduro, warning the US to refrain from meddling in the Latin-American country. Sangroula further accused the government of plotting to stop huge US support to Nepal alienating the decades-long friend. “The communist government has been alienating the US, by issuing a statement in favor of a country which doesn't have diplomatic relations with us, and going against the non-alliance policy of the country,” she further said. Former Defense Minister and NC leader Bhimsen Das Pradhan also demanded that the government make its official position clear to the House. “People of the country want to know the reason behind differing statements by two chairpersons of the same political party. The parliament should know whether Oli's or Dahal's statement represents the official position of the country,” said Pradhan. He was of the view that Dahal's statement and Oli's refutation on the statement have become an issue of mockery in the diplomatic fraternity. NCP lawmaker Hridayesh Tripathi demanded that the agriculture ministry be dissolved, accusing the ministry of not working in favor of sugarcane farmers. “I demand that the government scrap the agriculture ministry because we don't need such ministry which work in favor of the middlemen,” said Tripathi. Accusing the government of failing to guarantee payment to the farmers from the sugar mills, Tripathi warned of a sugar shortage after May. Rastriya Prajatantra Party (RPP) lawmaker Rejendra Lingden warned of staging a hunger strike for ignoring his constituency in Jhapa in budget allocation. He accused the government of not allocating budget to the projects implemented from previous budgets in his constituency and pouring Rs 11 million in the least priority project under the influence of NCP cadres irrespective of recommendations for just Rs 1.1 million from the local government. “Should I stage a hunger strike, respected Speaker? I will certainly stage a hunger strike if the government doesn't give justice to the people of my constituency and ignore their issues repeatedly,” said Lingden. “There are huge widespread rumors that the government has been pouring budget in Jhapa district but in my constituency,” said Lingden.